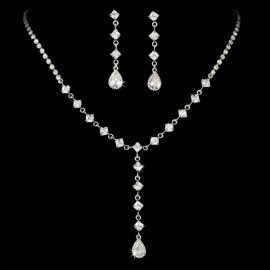 These elegant chandelier earrings with sparkling clear cubic zirconia are a gorgeous pick for any classic wedding! 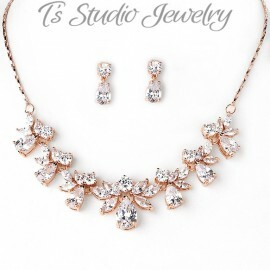 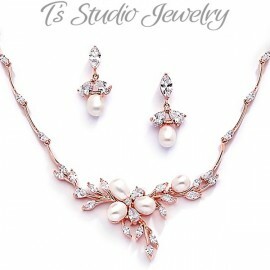 They feature both round and pear-cut cubic zirconium set in rose gold, and trimmed with smaller CZ stones that all sparkle beautifully in the light. 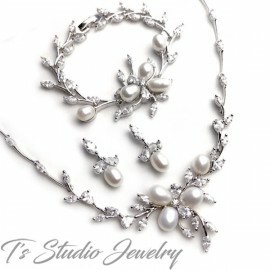 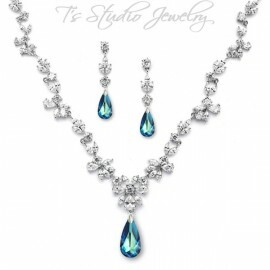 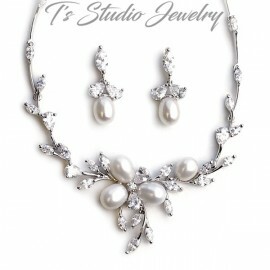 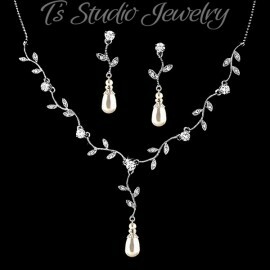 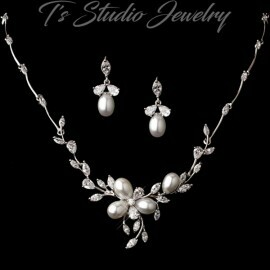 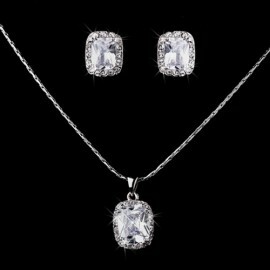 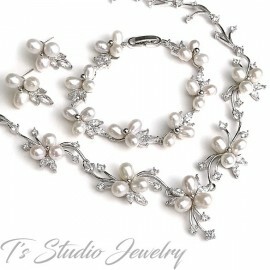 Matching necklace is made with the same CZ component as earrings. 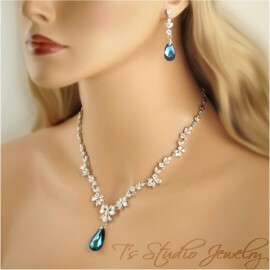 Earrings are also sold separately.